Toyota dealers: Inaba to run all of N.A. Yoshimi Inaba: Lots of clout, but Toyota hasnt spelled it out. LOS ANGELES -- Toyota's incoming North American boss, Yoshimi Inaba, will assume a powerful new position in charge of both sales and manufacturing operations, some dealers have been told. Inaba, 63, who was CEO of Toyota Motor Sales U.S.A. from 1999 to 2003, will be based in New York City. His return to the United States has been expected, but Toyota has not spelled out his responsibilities. The brand's top-selling dealers were informed of the changes at a lavish dinner last month at the Library of Congress in Washington. Attending the dinner were Inaba and Toyota Motor Corp.'s incoming president, Akio Toyoda. 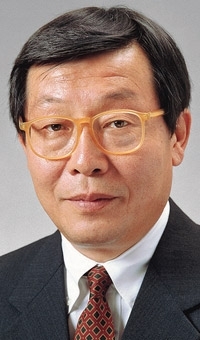 Toyoda, 53, a member of the company's founding family, told dealers that Toyota wants to reclaim its image as a value brand in the United States. Inaba's new role is intended to consolidate Toyota's North American operations under one executive, the dealers were informed. Currently, North American management teams are split among offices in California, Kentucky and New York. Toyota's U.S. sales management and manufacturing operations report to different executives in Japan. Yukitoshi Funo, CEO of Toyota Motor Sales U.S.A., will return to Japan. Funo, who is based in California, did not oversee manufacturing. Jim Lentz will remain the California-based president of Toyota Motor Sales U.S.A., reporting to Inaba. "I'm real excited about Inaba coming home," said Michael Sullivan, a Los Angeles dealer who attended the dinner. "He knows the market, and having one person over both sales and manufacturing makes sense. We're streamlining. That's good for us." Toyota Motor Corp.'s shareholders in Japan are scheduled to approve the changes next month. Until then, Toyota is not expected to outline Inaba's role publicly. Toyota spokesman Mike Michels said he could not confirm what Inaba's role will be in this country. "Inaba is coming to the U.S., and Mr. Funo is rotating back to Japan," Michels said. "Lentz and Inaba certainly will be the team, but the reporting is not clear." Akio Toyoda told dealers that Toyota has grown complacent in the United States. "Akio said we need to streamline the U.S. market," Sullivan said. "He said we let costs get too high, built too many cars, overengineered. We got a little off track. He said we will cut complexity and make prices even more competitive and will put value back in the Toyota name." Toyota Motor Sales U.S.A. sales were down 37.1 percent in the first quarter. While its market share was up 0.3 of a percentage point for the year, Toyota fell half a point in March, compared with March 2008.